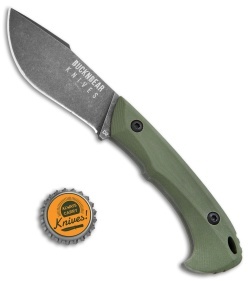 This Piranha model comes equipped with an OD green G-10 handle and a D2 steel blade with a black stonewashed finish. The Army Piranha from Buck N Bear knives offers a field ready fixed blade design for tactical operations. Its relatively compact size allows for convenient EDC with a tough D2 steel blade built to take on any cutting challenge. 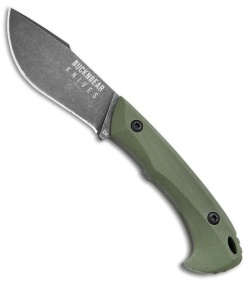 The blade sports a flat grind and a deep belly for versatile cutting and slicing. 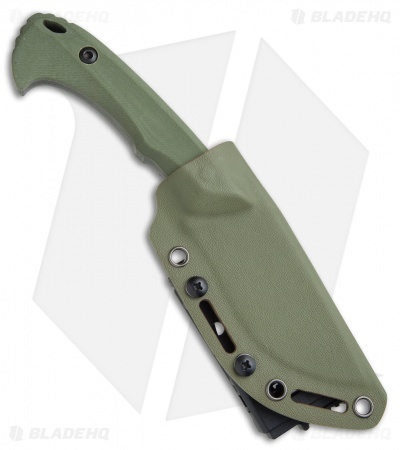 Item includes a kydex sheath with a tek-lok clip. 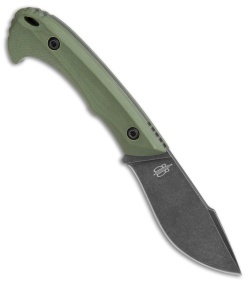 D2 blade steel offers an extremely tough and durable cutting edge. Molded kydex sheath with tek-lok clip provides versatile carrying options. G-10 handle scales provide a secure and comfortable grip with finger grooves and a rounded pommel.